Working at Internacionale always gives me a great excuse to have a bit of a splurge now and again, as I have to wear the clothes for work. Last week I bought a few new bits to wear. 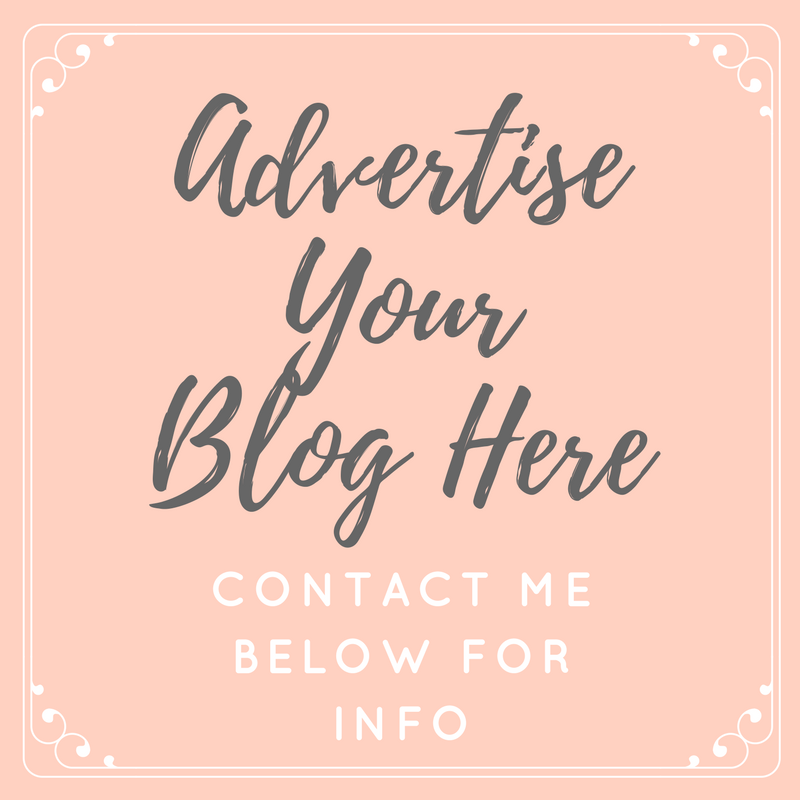 My favourite item is the pretty white blouse, which is practically identical to one that's in Topshop at the moment (you probably know which I mean, they come in about ten different colours, but aren't on the website)! It's so pretty, and goes with all sorts. It's a great transitional piece for my to wear in the colder weather with a cardigan or blazer, and to continue wearing in the Summer on it's own. 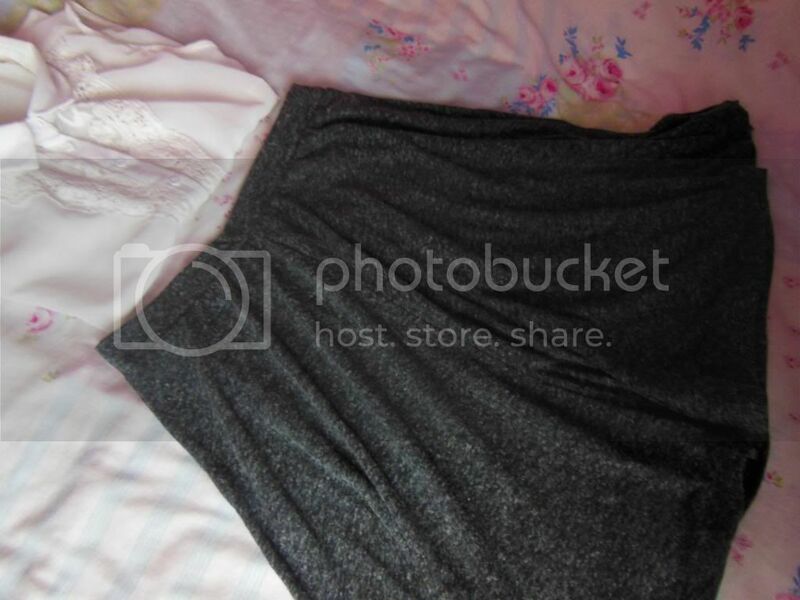 I've worn it a couple of times with the grey skirt which was an absolute bargain (only £9.99). 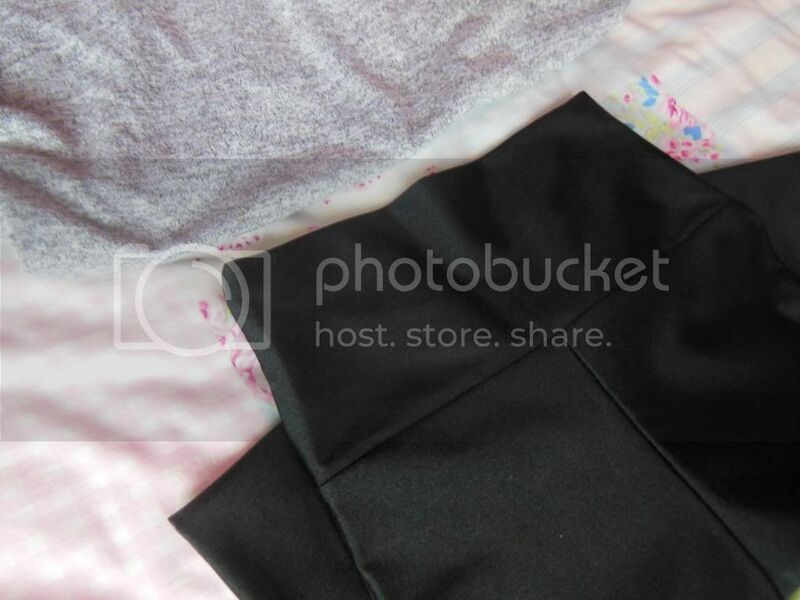 It's also very similar to skirts which I have seen in Topshop and American Apparel. It's long enough to wear without tights (not that I have yet!) and it's really flattering. A great staple piece for the wardrobe. 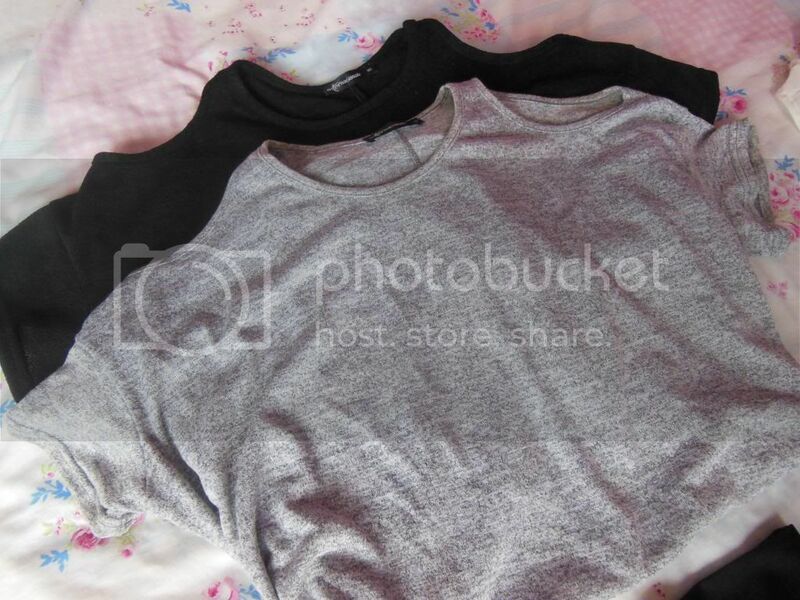 I bought two tops which are the same, but in different colours; black and grey, simply because I couldn't choose between them! They're long enough to wear with leggings, so they're really versatile, and they have the cut out detailing on the shoulders, which make them a little bit different. 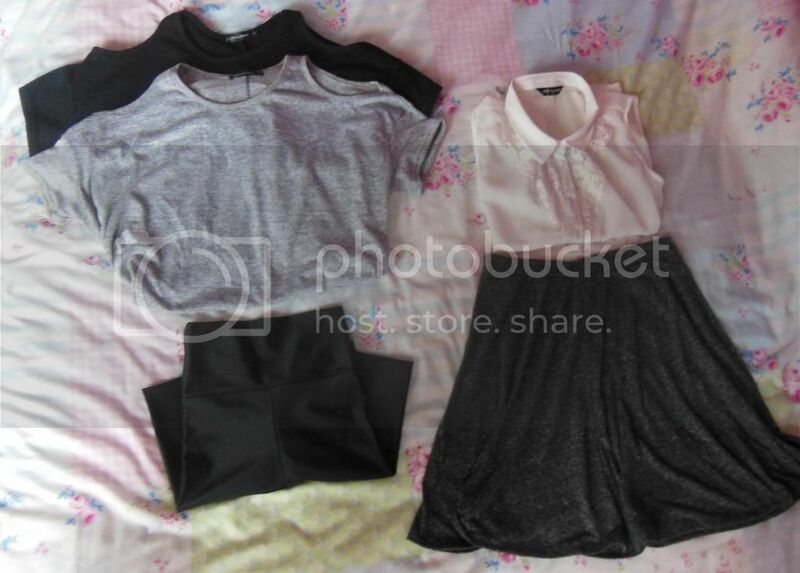 I love plain, baggy tops because they're really easy to dress up or down, and they're sooo comfy! These are right up my street! Last up I bought some new high waisted wet look leggings. I've already worn these to death, they're just perfect. I pretty much live in leggings and these are so flattering that they have become my go-to pair. The fact that they're high waisted means that I can wear them with shorter tops without worrying about any tummy flashing! I love them so much, I might buy another pair to wear when these are in the wash.
Have you been into Internacionale recently? What pieces have caught your eye? 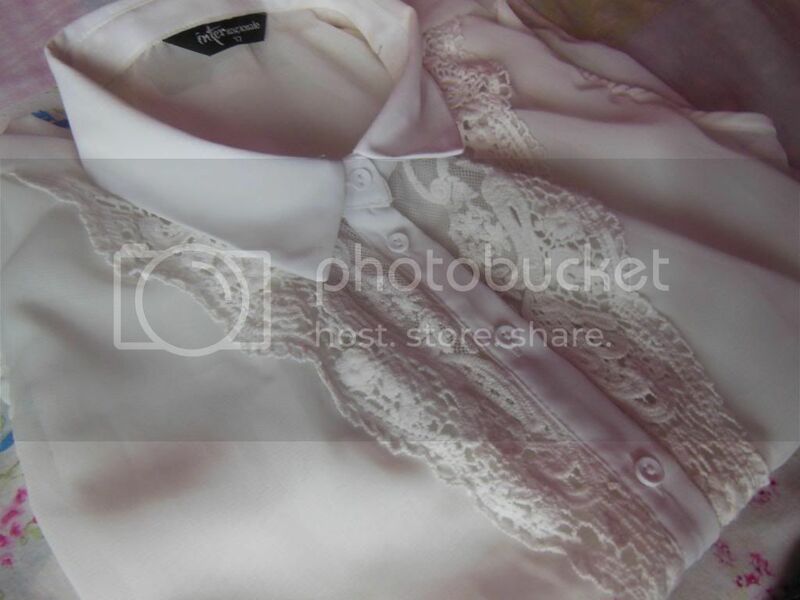 The white blouse is a really nice pick! You can wear it with almost anything (smart or casual). Is it available online? I love a bit of Internacionale, it's so cheap! Love the white blouse and the cut-out t-shirts! I love everything! I recently bought a very similar skirt to your grey one but in a wine colour, it really is a great staple. Wish there was still an Internacionale store where I live, I was devastated when they closed it! Oh my gosh that shirt is darling! !